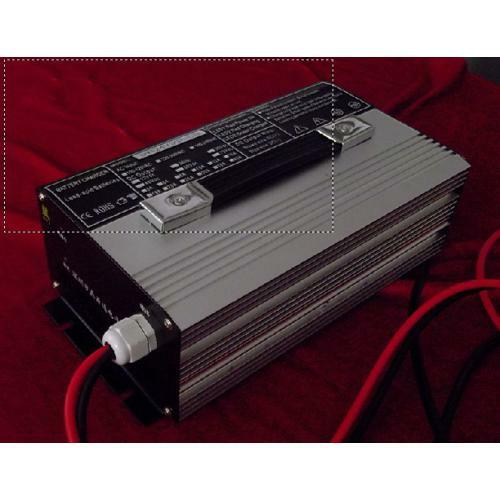 Battery Charger 29.2V10A 180×90×63mm can work normally under 29.4Vdc/10A and with reverse polarity protection. The charger software limits the maximum output voltage to a level suitable for the connected battery system. Short circuit protection should be automatically recovery after remove the condition. When output wires are reversely connected to the battery the charger will not operate and will work normally when DC wires are correctly connected. Products should be stored in package box when it is not used. And warehouse temperature should be -40~70℃, and relative humidity is 5~95%. In the warehouse, there should not be harmful gas, inflammable, explosive products, and corrosive chemical products, and strong mechanical vibration, shock and strong magnetic field affection. The package box should be above ground at least 20cm height, and 50cm away from wall, thermal source, and vent. Under this requirement, product has 2 years of storage period, and should be rechecked when over 2 years.